Off Plan Modern 4+1 Bedroom Luxury Villas with Stunning Location Overlooking Kalkan walking distance to central of town.Villas are being built this November with completion in May 2019. Perfect Infinity Pool Views.. Guaranteed Sea Views. 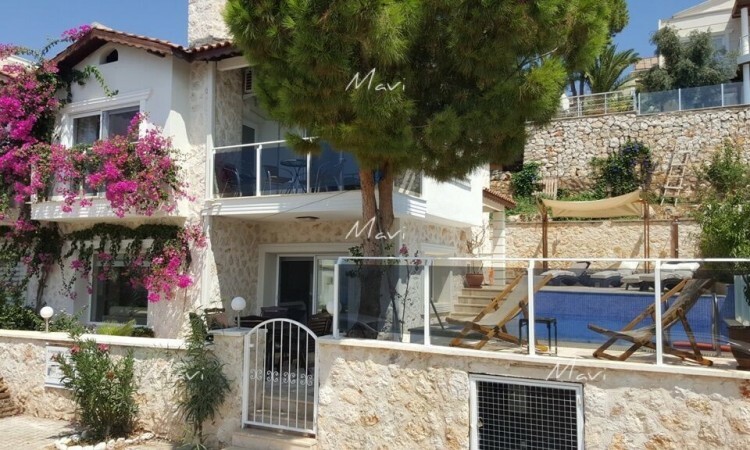 450 m2 private plot in one of Kalkan’s most sought after locations. 260 m2 of accommodation. Four and three double all en suite bedrooms, every one with perfect open sea views. All white goods, appliances, air -con units, beds, wardrobes, fully fitted kitchen are all included in the price. Garden & pool furniture, sofa, curtains not included in the price. We’d be happy to show some successfully completed villas/apartment developed the same vendor. 3 bedroom villas(upper row) all sold recently. Only two 4 bedroom villas available now.